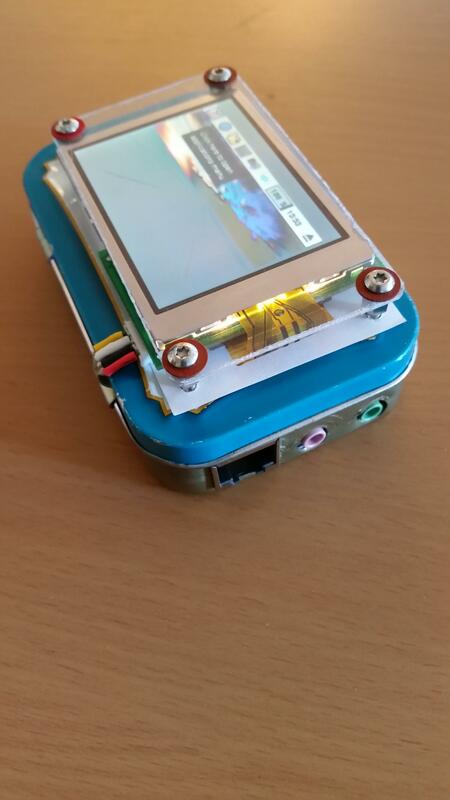 [2:47] <dumle29> Does anyone in here know of a hat for the pi-zero that adds a touchscreen? [3:21] <girlzgirls> ok, im at home now, can someone help me with the hdmi screen resolution? [3:39] <hmoney-> what's wrong with the resolution? [5:07] <aZz7eCh> yep exactly same as what the jbtek appears to be. whats specific about pi3 ? [5:09] <ball> Sorry ...flashback to the ZX-81 then. [5:10] <aZz7eCh> DexDeadly, the relay board or pi is shorting? you have them insulated from surfaces ? [5:11] <DexDeadly> i have the board right now slid into some.wood that i notched out. [5:12] <aZz7eCh> okay. so what about switches/buttons ... whats interacting with the gpio other than relay board outputs, or only outputs ? ... oh wait, have you told your code to pull up or pull down each pin initially ? [5:13] <DexDeadly> i was following an instructable and this isnt mentioned at all. searching ive seen this. [5:13] <aZz7eCh> the pullup/down code ? [5:16] <aZz7eCh> okay well for example. ... for gpio "INPUTS", buttons etc.. it has been my experince to be diligent and ensure they are pulled up or down. this utilizes the resistor in the pi to acheive the task I believe. [5:18] <aZz7eCh> this really does seem to be for controlling inputs better (to avoid false triggers as the gpios float) ... rather than outputs i would have thought. At least, in my code I certainly dont seem to have designated up or down states to any outputs. if i should have, someone please enlighten me. [5:24] <DexDeadly> this way the volts arent fluctuating. what about the other ports.do i leave them be. [8:28] <Smeef> I have a tiny cooling fan that's 30mm x 30mm x 4mm, is there a name for this form factor? [8:39] <SpeedEvil> There is absolutely no need whatsoever. [8:40] <SpeedEvil> Unless you're operating in a ~60C or so environment. [9:35] <oq> a fan for a pi0???? [9:57] <bla> oq, try a radiator first maybe? [10:03] <gordonDrogon> DexDeadly, wiringPi can set the internal pull up/down resistors as required. [11:50] <Tims_Tech> is mirrordirector.raspbian.org (93.93.128.193) having issues? [11:59] <RandomFactoid> I have a Rpi2 which is accessing the home network via wifi dongle. I have a device plugged into the rpi by an ethernet cable, which I want to access from the home network. What do i look for ? [14:41] <EDinNY> Did I get this right? I have Raspian installed. I want to move what is easy, to my USB connected hard drive. I think I only need to have to have bin, lib, sbin, and etc available on the / partition in order to boot. [14:44] <BurtyB> EDinNY, why not just move everything but /boot? [14:45] <EDinNY> hmm...I was going to leave the directories that don't change on the sd card...does the pi start with grub? [14:46] <EDinNY> It has been a while since I did this kind of thing. [14:47] <EDinNY> Did you mean that the hard drive is one more thing to go wrong? [14:48] <gordonDrogon> the Pi has it's own bootloader - in ROM that loads a file (bootloader.bin) from the SD card. [14:49] <gordonDrogon> the first partition on the SD card needs to be FAT formatted - it's the only format the ROM knows. [14:49] <gordonDrogon> however there are things you can do on a Piv3 to make it boot directly from USB - but (IIRC) it's still experimental. [14:53] <thecha> is this powerful enough to supply a rpi 3b? [14:54] <EDinNY> How long is an SD card going to live if you continually write to it? [14:54] <gordonDrogon> if you are continually writing, then some people might suggest the Pi is not the best device, however the answer is: who knows. [14:55] <gordonDrogon> but many people do have root on external USB, so it does work - you just have to make sure it's reliable enough for you. [14:55] <Paddy_NI> Is there any Raspberry Pi monitoring tools available for Linux? 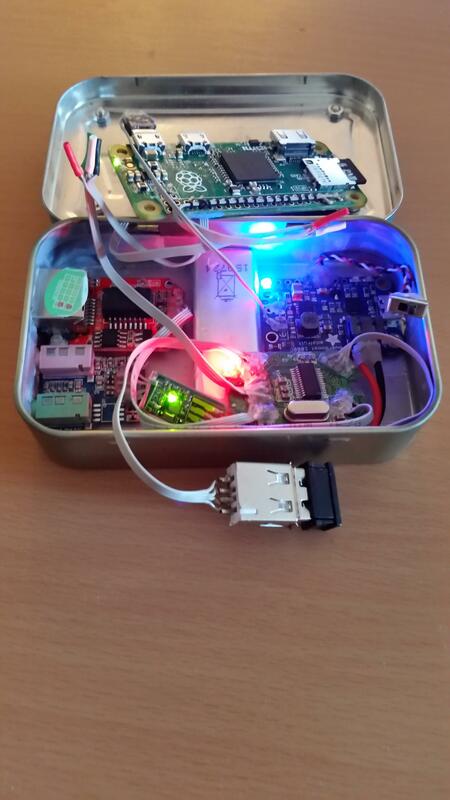 [14:56] <gordonDrogon> Paddy_NI, the Pi is a Linux system - almost evrything that runs under Linux runs on the Pi. [14:56] <gordonDrogon> old world Nagios work, and mrtg, etc. [14:57] <gordonDrogon> there may be more modern stuff, but I've not looked for a few years. [14:58] <thecha> why can't you use ssh? [14:59] <gordonDrogon> that's what things like nagios are for - just google that and look for new alternatives. [15:00] <gordonDrogon> on you go then. [15:00] <Paddy_NI> On I go with what? [15:01] <gordonDrogon> getting it done - install what you need to on the Pi's and give you clients the user experience they want. I just made a few suggestions, that's all. let me know what you come up with. [15:03] <gordonDrogon> writing something that gives you temperature, disk space, cpu usage and presenting it web wise is relatively easy. even with old style mrtg. [15:05] <thecha> is this what you were looking for friend? [15:06] <gordonDrogon> on the Pi. [15:07] <gordonDrogon> Ad0, yes, I think you can. [15:08] <gordonDrogon> Ad0, let me know if it works - there was something on the forums about it a while back, but I'm not sure it actually worked. [15:09] <gordonDrogon> so raspmanager uses ssh and then issues commands... intersting. [15:11] <gordonDrogon> Paddy_NI, well if you don't want to write something, you could pay someone to write it for you - not hard to get the information and put it on a web page on the Pi. [15:12] <gordonDrogon> sometimes it is. [15:12] <gordonDrogon> or what you want. [15:12] <Paddy_NI> gordonDrogon: Tell me, do you wear shoes? [15:12] <gordonDrogon> only when I go out. [15:12] <Paddy_NI> gordonDrogon: So I take it you made them yourself? [15:14] <duncanCnudan> Paddy_NI so the link i gave you was not what you were looking for? [15:14] <Paddy_NI> duncanCnudan: You gave me a link? [15:14] <duncanCnudan> you are looking for a way to remote connect your clients to a rpi, right? [15:17] <gordonDrogon> Paddy_NI, I don't like being insulted like that. [15:17] <gordonDrogon> Paddy_NI, I pay someone to make custom sized shoes for me - if that's the answer you want. [15:18] <gordonDrogon> you've come here asking for stuff - you weren't clear on what it was you wanted - I presented some existing packages, that's all. [15:18] <gordonDrogon> more insults by calling me willfully dense. [15:19] <gordonDrogon> and I have given you suggestions. [15:19] <gordonDrogon> then ask that guy to write it for you. pay him money too... I'm sure he'll be more than willing. [15:22] <Paddy_NI> duncanCnudan: GAdmintools is a bit much for my needs. Did you look at raspicheck? [15:42] <Paddy_NI> duncanCnudan: Actually dataplicity is much more elegant, thank you very much. [15:43] <gordonDrogon> you mean; free ? [15:46] <gordonDrogon> sure, but right now it's free for all - until (I guess) the end of the month. [15:47] <gordonDrogon> the first one is free - which is good to let you test it though. [17:23] <AndreeeCZ> hello! Can RPi3 go into a hard lock, because the temperature is at 64C ? [17:25] <gordonDrogon> AndreeeCZ, at 80�C it will throttle down the processor speed, but that's all. [17:25] <AndreeeCZ> what can cause the RPi to go to a hard lock? [17:30] <AndreeeCZ> what do you mean? [17:30] <gordonDrogon> just that - put lines in your code: printf ("got to here\n"); etc. to find out where its stopping - and to see if its repeatable, etc. [17:31] <gordonDrogon> also - try another Pi just in-case it's a hardware fault. [17:39] <AndreeeCZ> ali1234, i am launching the app via ssh. The ssh dies along with the rest. [17:40] <AndreeeCZ> ali1234, is it relevant that the last frame stays on the display? [17:40] <ali1234> not really, what else would it do? [17:40] <ali1234> what does your code do? [17:40] <ali1234> what does it do with opengl? [17:41] <ali1234> what opengl functions does it use? [17:41] <ali1234> do you use vertex buffers? [17:42] <ali1234> so what functions do you use? [17:43] <ali1234> so you only use SDL_Render? [17:44] <ali1234> and what happened? [17:47] <AndreeeCZ> i've fiddled with that also. I installed a cap to smooth out the spikes and i get no "power symbol"
[17:47] <AndreeeCZ> would it help if i monitored the voltage on the various parts of the pi? [17:48] <AndreeeCZ> would that not display some sort of rise or spike just before a lock? [17:50] <ali1234> how long do you think it takes for a transient to crash the pi? [17:52] <ali1234> you are using threads? [18:29] <gordonDrogon> Ad0, hi - so you're reading multiple channels in a single operation now? [18:33] <gordonDrogon> wonder if I could work that idea into wiringPi somehow. [18:33] <gordonDrogon> I guess if it's as easy to read 8 channels a 1 and not much more time, then I could just do it and sort of keep them cached..
[18:43] <EDinNY> what does "root" mean, and why are there 2 entries in general/config? [18:47] <mfa298> redrabbit: I've used plenty of cheap SD cards in the Pi before and it gets a bit tedious re-fashing it several times a day when they get corrupted. [18:50] <EDinNY> Back to my problem, in general config, it says "Show root directories", and has 2 entries. [18:50] <EDinNY> What does that mean? [18:57] <gennro> redrabbit, can you use the same gpio library's as a rpi? [18:59] <gordonDrogon> there are ports of wiringPi to other devices, but there is no support for it. [19:01] <BiloxiGeek> Got an RPi3 running pi-hole and I'm tring to turn on IPv6 since I just got a tunnel set up, so far I can get the module to load but I never seem to get the IPv6 address set up. Any tips? [19:04] <BiloxiGeek> mfa298: my tunnel is working, using pfSense for that, I'd like to get the pi-hole on the v6 so it can resolve/block there as well. And maybe just cause I want all my IPv6 capable stuff on v6. [19:09] <Ad0> should force_turbo be 0 or 1? [19:09] <BiloxiGeek> gennro: I really like the pi-hole, I had an Adtrap before they disappeared. [19:11] <BiloxiGeek> gennro: besides just blocking ads, I've been able to get around things like the Washington Post website which only allows like 10 article views per month unless you pay them a monthly subscription fee. [19:12] <BiloxiGeek> Gonna try a fresh pi-hole install and see if that fixes things. [19:17] <BiloxiGeek> What would be the first couple of things to check in rasbian to turn on IPv6 for a Pi that doesn't currently have it enabled. Still new to Rasbian, I'm mostly a RHEL and Fedora guy. [19:19] <mfa298> BiloxiGeek: are other devices on the network picking up an IPv6 address ? [19:27] <BiloxiGeek> Had to delete a cache file for dhclient so it would pick up a new lease from a static assignment coming from the pfSense box. Think I got it licked now. [19:28] <EDinNY> Can someone give me a web address for docs? [19:30] <EDinNY> oops. wrong group! [20:45] <verahsa> I have a random question that I hope someone has a few minutes to help me out with regarding a 3M old vga+rs232 touch screen. I was able to get the video working with a simple hdmi->vga adapter. i plugged in the serial port into a usb/serial converter, and the pi sees input on /dev/ttyUSB0 ... How do I get this to work as a touch screen? [20:46] <Emil> verahsa: did you check that you can actually use it with ttl serial port? [20:58] <Emil> You have validated the data and its fromat? [20:59] <verahsa> *that* is something that I frankly don't know how to do. [20:59] <Emil> So you mean that there is just something visible on the serial port? [21:00] <Emil> Can you save a bit of that data to a file and analyse it (and let us also have a look ;D)? [21:01] <Emil> So it's ascii data? [21:01] <verahsa> *nod* Where would you have me place it? [21:04] <Ad0> gordonDrogon: do you want some source code? [21:07] <Emil> Can you save the raw data to a file and upload somewhere? [21:07] <verahsa> I have my own server, i just don't post that publicly. I'll output it to a file, gimme a sec. [21:08] <Ad0> it seems to jump between 600 and 1200 in "performance"
[21:09] <Emil> Didn't that problem exist with the serial driver also? [21:10] <Emil> Ad0: what are you doing anyways? [21:11] <Emil> What do you need SPI for, then? [21:11] <Emil> verahsa: also can you tell me what do you do on the screen while you get the output? [21:14] <Ad0> are there any nice ones? [21:14] <Emil> What do you mean by that? [21:16] <Emil> Ad0: what do you actually know about AVR's and arduinos? [21:17] <gordonDrogon> just been doing some ATmega coding this afternoon too. [21:17] <Ad0> my code seems to work OK gordonDrogon but unfortunally I don't have any use for it lol. [21:19] <gordonDrogon> I prefer using a programmer, but a bootloader is often OK. I use a Pi as a direct programmer. [21:22] <Ad0> is attiny84 enough ? [21:22] <gordonDrogon> Pi plus a DAC? [21:23] <Ad0> hm gordonDrogon ? [21:23] <gordonDrogon> the ATtinys are good - only 4K of flash IIRC. [21:23] <gordonDrogon> I did some code for the one on the Gertduino. [21:23] <Emil> Ad0: you can look at https://emil.fi/avr and to program and arduino one, just use ./acr $1 atmega328p "arduino -b 115200 -P $port"
[21:24] <Emil> Ad0: what kind of perf are you looking for? [21:25] <gordonDrogon> anyway, I'm off to bake a cake or 2. [21:30] <Emil> Ad0: what are you actually trying to achieve? [21:30] <Emil> Why do you want to measure mains? [21:31] <Emil> Are you measuring from the wall? [21:34] <mfa298> that gave pretty good timing on a Pi1 to bitbang rtty (serial) data on a gpio pin. [21:44] <Ad0> mfa298: what does the scheduling code do? [21:58] <Ad0> libexplain to the rescue! [22:01] <Ad0> so what should I do to have even timing ? [22:09] <oq> Smeef: neat, are the ethernet & audio connectors from cheap usb adaptors soldered directly to a usb hub? [22:10] <oq> Smeef: what method did you use to power the pi0 off a battery? [22:11] <Ad0> is SPI timing and clocks CPU based or do you send a buffer to an SPI controller? [22:11] <oq> that powerbooster must have been the most expensive part by far eh? [22:17] <oq> Smeef: does the powerboost tell the pi to shutdown when the battery is low? [22:21] <amazoniantoad> Has anyone looked at wireless network bonding? [22:41] <gordonDrogon> and cakes are baked. [22:45] <EDinNY> Where is the "settings" partition mounted? [22:47] <EDinNY> There is a SETTINGS partition on the sd card. is it mounted when rp has booted? [22:48] <ShorTie> there is ?? [23:00] <EDinNY> Yes! Raspian running with the hard drive (/dev/sda6) mounted on / worked on first try, without searching google for how to do it. [23:05] <cnnx> is it powerfull enough to be used as a nas ? [23:06] <gordonDrogon> /boot/config.txt <- settings?